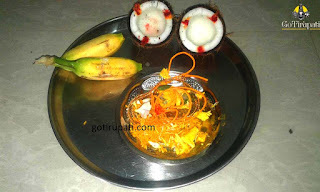 Shastipoorthi at the premises of deity will be blessed with long and healthy life. This event will be performed after 60 years. How to perform Shastipoorthi Pooja? Navagraha total years is 120, half of that i.e 60 years, whoever completes the first 60 and stepping into the next 60 have to perform this event for long and healthy.